Photo courtesy of Mad Mushroom. It’s an American delicacy. Sure, it may not have been invented here, but we like to think we’ve perfected it. Or, at the very least, Americanized it. Now, street corners are lined with them with new ones popping up on a seemingly daily basis. In Bloomington, there is most certainly a fair share of them. Whether they are national or local, students know the best from the worst. Are they quick? Is it high quality? Are they cheap? Do I get a free cup? Ranking them is no easy task and one many will have complaints about. However, I’ll do my best to appease the masses with my ranking of the best pizza places around town. For the sake of originality, we’ll leave out national chains (sorry Papa John’s, Dominos, Pizza Hut, and Sbarro) and stick to the local joints. Another place that doesn’t really set itself apart from the others, although the difference is they offer some cheaper prices. However, quality of the food ranks high on my list and they don’t seem to have it. They are certainly a step up from B-Town Pizza, but not near the others. 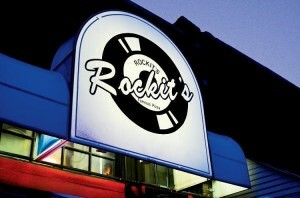 I pair Greek’s and Rockits pizza together. Neither are the worst, but neither one is competition for the top 5. The ones remaining just have something different about them that make them appetizing, whether it be quick delivery or high quality. 120 East 7th Street Bloomington, Indiana, 47408. While their quality is high, there is a couple knocks on them. To me, the biggest is the location is inconvenient for anyone wanting to dine in. Located on 7th street, anyone who lives in Bloomington knows how awful parking is downtown. In spite of that, the quality of it makes it appealing, just not enough to want to deal with the headache of parking. The separation between 4th and 5th couldn’t be bigger. The top four are places I’d recommend to a visitor who was in Bloomington. Mad Mushroom is probably more known for its cheesebread than it’s pizza, but that’s fine. Ordering an XL pizza with a large cheesestix will feed a large family, let alone two college kids. And it only gets better if it’s cold. The “Popeye” at PIzza X. 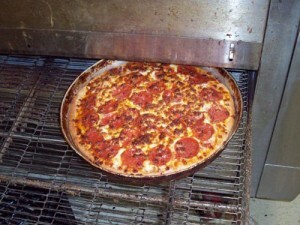 Photo courtesy of Pizza X. Campus: 1791 E 10th St.; West: 1610 W 3rd St.; East: 877 S. College Mall Rd. ; South: 2443 S. Walnut St. Pk. pizza, I highly recommend one of these two. And considering each have multiple locations all across the town, odds are very high that you’re close to one. Except for the East Side dining room location, Crazy Avers is carry out & delivery only. Honestly, this isn’t even a competition. Mother Bears has a lofty reputation to live up to, but it fulfills and maybe even exceeds them. 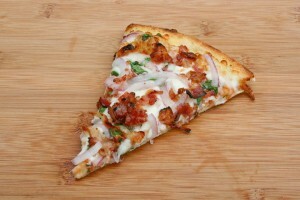 And with the location essentially on campus, students can stop by any time of the day and grab a slice or two. 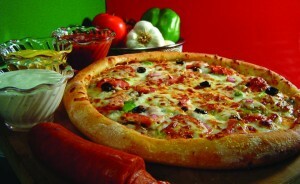 It boasts that it’s “One of America’s top nine pizzeria’s” according to People Magazine, and I believe. 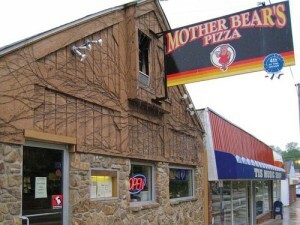 Anyone who comes to Bloomington MUST stop and eat at Mother Bears. I'm Jacob Rude, and I'm a senior at Indiana University. I am majoring in journalism, where I'm focusing on print journalism. I'm a diehard sports fan of just about any sport, which has directed me toward the sports journalism field. My goal is to one day write for a national sports publication.